2 or more: $19.94 ea. 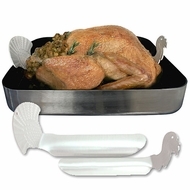 A turkey is a serious investment in time - but now you can sleep in. Just let the the Half-Time Turkey give you a hand in the kitchen.